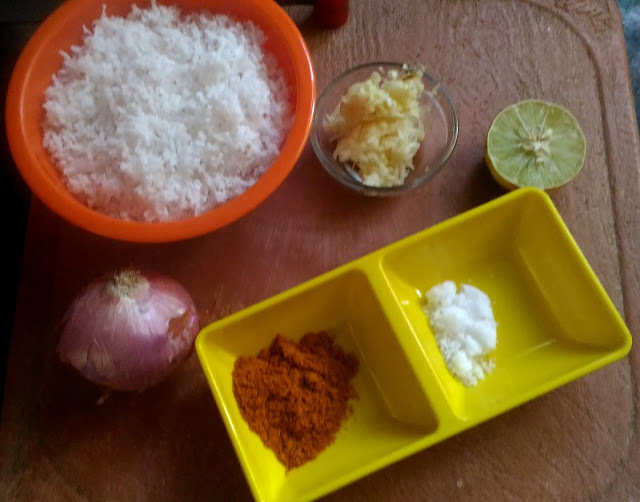 We use pickle or chutneys as sidedish for Rotis. 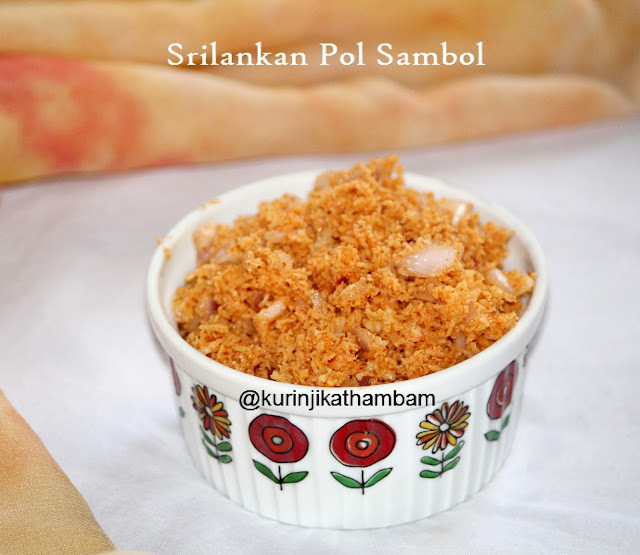 But Sri Lankan’s use a very simple to make sidedish (without cooking) called Sambol. 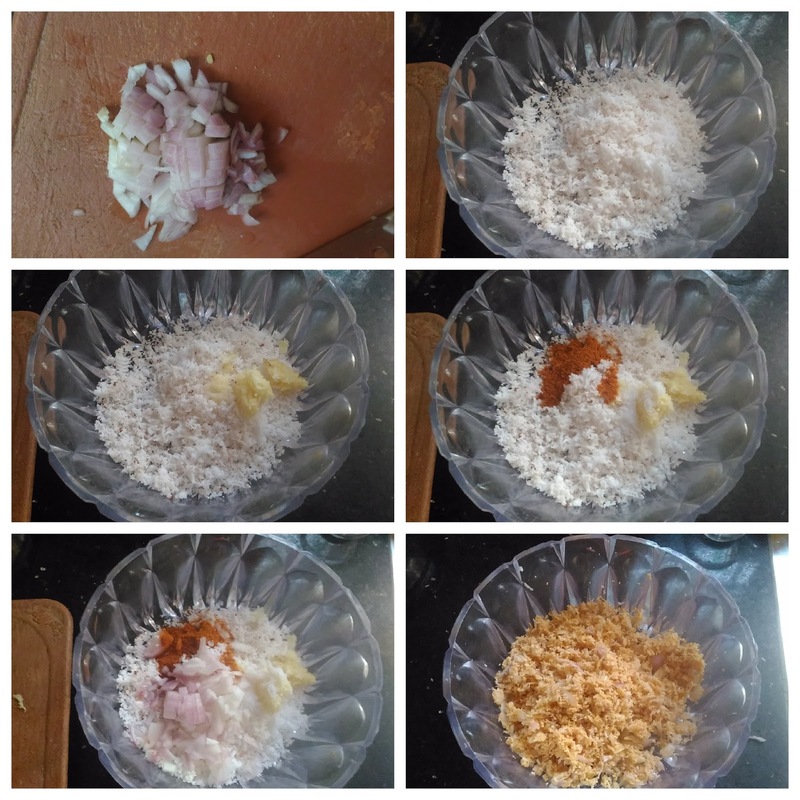 They just mix coconut with other ingredients like spices. 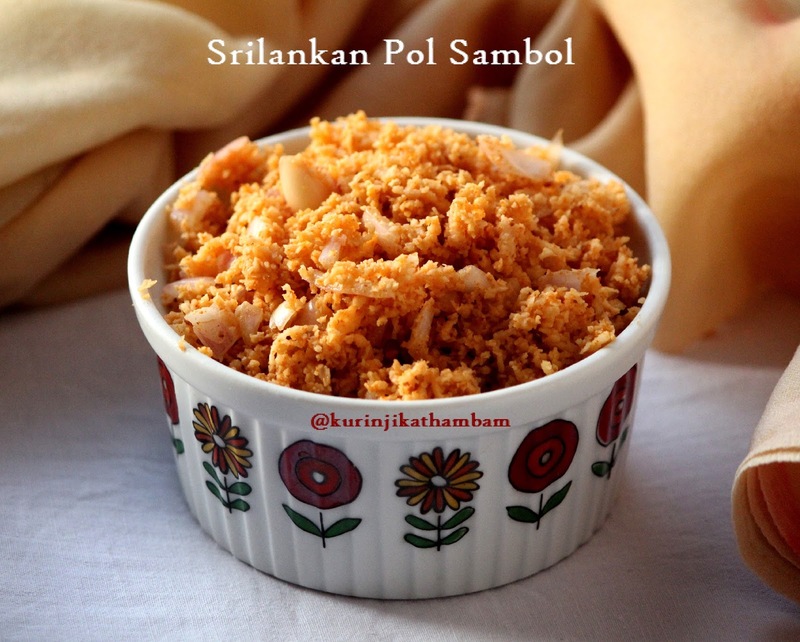 This goes well with our Dosa and Chapthi. 1. Add all the ingredients in a wide bowl. 2. Mix them well with your hand for 1-2 mins. Keep it aside for 5 mins. Yummy and delicious pol (coconut) sambol is ready to serve with roti.